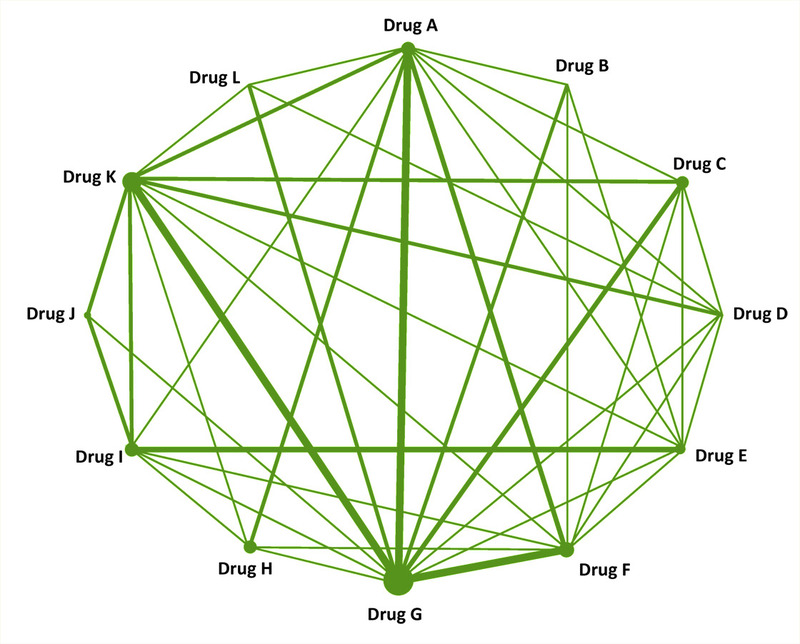 Indirect treatment comparisons (ITC) and mixed treatment comparisons (MTC), collectively referred to as Network Meta-Analysis (NMA), are increasingly used in health technology assessment. They are statistical techniques to synthesise available direct and indirect evidence to provide information on the comparative effectiveness and safety of a range of competing interventions. Network meta-analyses are often complex and challenging projects to specify and undertake and bring with them a range of planning considerations that are critical for a successful end product. These considerations include specifying the review question, identifying relevant studies, deciding how to assess the similarity of studies in a potential network and developing the statistical analysis plan and using the Network Meta Analysis output in economic models. This two day training session in Network Meta-Analysis is offered by our statisticians from Quantics and experienced reviewers from YHEC who we have collaborated together on many network meta-analyses to inform HTA submissions and market access planning exercises. The workshop is intended to offer project managers, research commissioners and others new to these techniques an introduction to the practical issues involved in commissioning and performing Network Meta Analyses. This training day does not involve coding with WinBUGS or other programming software. £650 (+£130 VAT). Registration fee includes tea and coffee, lunch and course documentation. An understanding of how Network Meta-Analysis s will be critically assessed. Who should attend the Network Meta-Analysis training? Researchers who are new to Network Meta-Analyses and wish to gain an understanding of the practical issues involved. 10:00 What are the different endpoints and analyses preferred by regulators? As part of our Network Meta-Analysis Training we will provide an introduction to network meta-analysis and its key assumptions, as well as how to plan a network meta-analysis. Most network meta-analyses will consist of six key stages which will be covered in the training – developing the protocol, performing the systematic review, conducting the feasibility assessment, preparing the statistical analysis plan, running the analyses and reporting the results. Our Network Meta-Analysis training we will give a brief overview of each of these stages, and suggest strategies for ensuring that your network meta-analysis project goes smoothly. We will discuss in the Network Meta-Analysis training how at the start of the project, you should consider the audience for your systematic review and network meta-analysis. If you are aiming to develop a manuscript for a peer-reviewed journal, then it is important to make sure that your project is compatible with publication guidelines such as the PRISMA extension statement for network meta-analysis . Likewise, if you are aiming to develop a submission for a specific health technology assessment (HTA) body, then you will need to consider their guidelines on systematic review and network meta-analysis. The Network Meta-Analysis Training will help you come up with a reasonable estimate for how much time will be required to develop the protocol, perform the systematic review and conduct the feasibility assessment. However, it can be more difficult to estimate the time required to prepare the statistical analysis plan, network meta-analyses and report. Until the feasibility assessment is complete, the number of networks that are feasible and the nature of these networks is often unknown. This information is important for estimating the time required to prepare the statistical analysis plan and run the network meta-analyses. Hence, systematic review and network meta-analysis projects are often planned in two stages – the protocol, systematic review and feasibility assessment stage is planned up front, and the statistical analysis plan, network meta-analysis and reporting stage is planned once the feasibility assessment is complete. If you would like any more information on the training content please get in touch.